The 8U series of sealed ultra-miniature pushbuttons from Dailywell are single or double pole switches with single or double throw operation and momentary action. Electrically rated to 0.4VA at max 20VAC/DC with a mechanical life of 40,000 cycles and an IP rating of IP67. 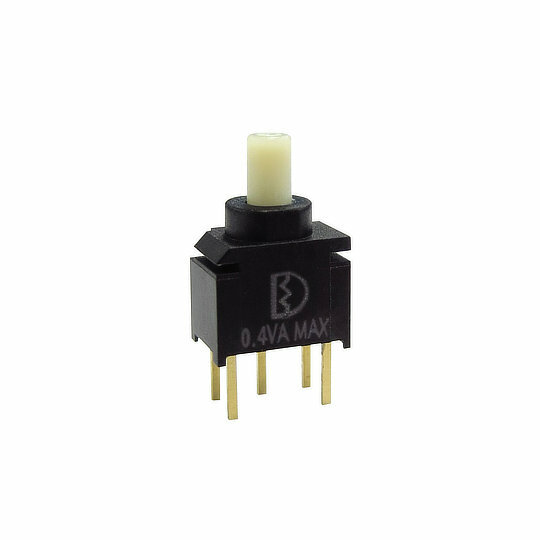 Available with straight or 90° angle PC thru-hole gold terminals the 8U series are designed for fully automated production with flow soldering and cleaning processes in. The 8U series is perfect for applications such as Audio-Visual Equipment, Medical Devices, Computer Hardware, Instrumentation, Networking Equipment and Telecommunications.